Inspired by the angular lines of Brutalist architecture, the Hardy Lamp by Porta Romana embodies the jagged exteriors of its imposing concrete buildings. With a characterful quality and urban edge, Hardy is composed of sixty one individual cast-composite pyramids to create the desired effect. A combination of modern 3D printing and traditional hand-sculpting is used to form this striking lamp. Choose from either a Dappled White or Mussel Blue finish to suit your interior scheme. 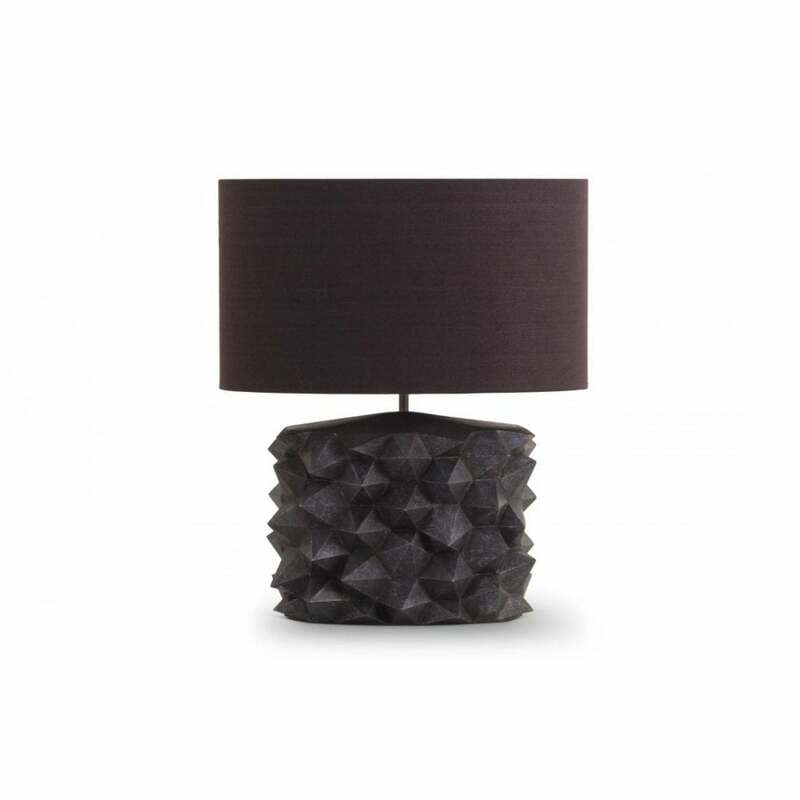 Complete with an exquisite hand-made silk shade to add a luxurious touch. Make an enquiry for more information.